Whatever happened to the good old internet which was meant to be free, uncensored and private? For those who are unaware or new to this, a VPN is an acronym for a Virtual Private Network. It is provided in the form of desktop software or an online service which allows you to connect to the internet a discreet fashion by encrypting your traffic. So, if you are on a public Wi-Fi, using a VPN ensures that nobody will be able to snoop on your activities. Irrespective of your intended use, it pays to have a reliable VPN service with you at all times. But with tons of VPN services in the market, each one branding and projecting itself as the holy grail of online security, it pays to tread with caution and being aware of what separates a good service from a poor one. How to Choose a VPN Network? Let’s quickly walkthrough some of the features that make a VPN service a reliable one for online security, sharing files anonymously and unblocking some of the websites which are blocked due to coerced censorship. All VPN services will advertise the number of servers they have in different locations around the world. These are typically called ‘Exit Servers’ and you will be allowed to choose one of these servers to logon to the internet. All your traffic will then be routed via that server in the destination country that you choose. Without getting overly technical, the more the number of exit servers, the merrier it is. A quality VPN service has more than 1000-2000 servers at least. Where is the VPN provider located? Are they located in the UK or in the US or some other part of the world? The location is critical because they may have to comply with the local law enforcement agencies when it comes to turning over any user related data. The rule of thumb as advocated by privacy experts is that if a country has data retention laws, then it’s usually not a good idea to use any VPN service registered as a corporate entity in that country. Depending on where the company is based out of, it may log all your activities internally, may not log anything at all or may create temporary usage logs which are deleted after a short time frame. Before you sign up with any VPN provider, be aware of what details they collect. Read their privacy policies and know your options beforehand. It goes without saying that the safest bet is a company that does not log anything. Last but not the least; look for at least L2TP/IPSec or OpenVPN encryption protocols in the VPN service. Some services also provide you with a private DNS server which may be helpful in some scenarios. If you are looking for the best VPN service in the market currently, then here are the top five options for you to consider. This is not an exhaustive list of the VPN services in the market. But after carefully analyzing their features, pricing and their privacy policies, these come across as the best choices. 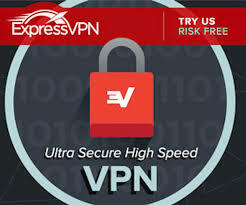 ExpressVPN is the most impressive VPN services in this list. If pricing is not a deciding factor for you, then it almost trumps Private Internet Access as the best VPN service in this list. It also offers a ’30 day No questions asked’ money back guarantee which is the best in the industry. Price: Priced at $12.95 for a monthly subscription, it does sound pricey especially when you compare it with the $4.99 a month from KeepSolid and $6.95 for Private Internet Access. It is billed at $99.95 for an annual subscription for 3 devices. Server Location: They have servers in 87 countries including Africa and some countries in the Middle East. They certainly score above some of the others in Geographical diversity. UI: The User Interface is uncluttered and non-messy. Most of the tasks like connecting to servers, switching servers, selecting streaming services over VPN and geo-switching can be accomplished with a couple of clicks. Data Logging: ExpressVPN does not log your browsing history, IP address or your DNS queries. So, you can be rest assured that your browsing habits are safe from snoops. Verdict: Express VPN may seem a tad pricey but offers a good blend of services and tools. The servers are fast, support streaming, P2P and is backed by a 30 day money back guarantee. PIA or Private Internet Access is one of the most reliable VPN service providers that has a bunch of server options and also offers some very useful tools in addition. The best part is their affordable pricing which offers complete value for money. Server Locations: With 3341 servers in 25 countries, Private Internet Access gives you the maximum number of choices in exit servers. UI: Extremely minimalistic and clutter-free UI which makes it a cinch to use. A one-click-activation system allows you to get started in seconds. Data Logging: Private Internet Access has a zero logging policy. You can be rest assured that your surfing data will remain hidden from prying eyes and snoops. Tools: Ad blocking, One click termination for all applications connected to the internet in case of a VPN failure. Verdict: Private Internet Access is one of the top VPN providers in the market currently. Their server speed, download speed, support for P2P and huge number of servers, clubbed with a cost effective price tag make them a reliable choice for all types of internet users. 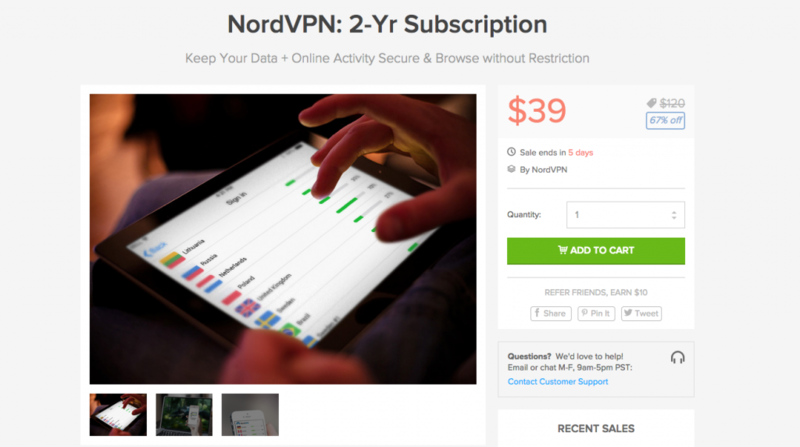 Headquartered in Panama which screams freedom from NSA snooping, NordVPN is one of the most popular VPN services in the world despite its slightly expensive pricing. After all, it serves one of the most important purposes that people use a VPN for. Price: $11.95 for a monthly subscription and $69 for an annual subscription for up to 6 devices. You may not be able to connect all six to the same server though. Server Locations: 724 servers in 57 countries. NordVPN is seconded by only IPA in the number of servers. But NORD clearly offers almost double the variety in countries. UI: Clean and intuitive user interface that makes it easy to select the server, type of connection and also groups together the best choices for streaming video, TOR over VPN and they even offer a Double VPN. Data Logging: No compulsory data logging policy. This is a privacy advocate’s dream come true. This is also one of the reasons why NordVPN is so popular. Verdict: NordVPN is a great option. It has an advantage with competitive pricing. This VPN has solid features and offers amazing connection. It is clearly one of the best services in the business. F-Secure Freedome VPN is a VPN owned by leading security company. 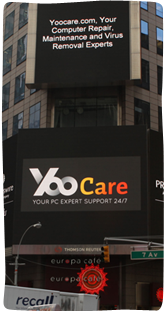 It has rice experience in security and owns advanced technology to deliver solid VPN solution. This company is trusted by worldwide users with high reputation. This VPN is full-featured and very easy to use. It is my #4 pick in the list of best VPN services because of a slightly higher price tag and a logging policy which may not be in your best interests, especially if you are trying to evade the eyes of government snoops. Price: It costs $49.99 USD a year for three devices. Server Locations: F-Secure Freedome VPN has 27 global servers across North America, Asia, Europe, Mexico City and Australia. UI: F-Secure Freedome VPN has a very colorful but simple user interface that is extremely easy to use. Everything from connecting to servers to switching servers on the fly is effortless. Data Logging: They do not log data or sell users’ privacy to third party. Anonymous Payment Option: credit cards, PayPal, PayNearMe, wire transfer, check, and money order. Verdict:F-Secure Freedome VPN is a great choice for a newbie looking for a simple and effective VPN service with servers in almost every continent in the world. It does not match the features of our top picks but it’s definitely a competitor in the list of best VPN services. KeepSolid VPN unlimited is one of a very popular VPN. It has everything that you’d want from a VPN service. There are tons of server options, it is fast, secure and offers multiple flexible payment plans. Price: Want to wet your toes before you make the plunge? KeepSolid VPN gives you six different subscription choices starting with a weekly plan priced at $1.99, $4.99 for a monthly plan, $8.99 for three months and $24.99 a year. They also have a 10 day trial option which makes them one of the cheapest VPN services in the market. If those don’t work for you, they also offer a personal VPN server and a lifetime membership for $129.99. Server Location: For the pricing, their server choices are elaborate. You can pick from 300 servers in 50 different countries. These include some very rarely seen destinations like Slovenia, Isle of Man, Croatia and more. UI: The only minor letdown that put KeepSolid VPN behind some of the other options here is a sluggish user interface that mars the overall experience. This difference is only notable if you are talking specifics and speed mind you. For a casual internet surfer, it may not seem like a huge factor. Other than this, it supports file sharing only in four of its servers which is a limitation. Data Logging: KeepSolid does not log or collect any user activities. Encryption: Apart from the standard encryption protocols, KeepSolid also offers a double encrypted server and one that connects to TOR ensuring you complete anonymity. Tools: They provide a personal VPN in any country of your choice, a clean IP which is not used by proxy services and hence is less likely to be flagged or blocked (ideal for using Netflix or BBC) and a service called KeepSolidWise which will mask VPN traffic as https traffic instead. Also, they provide VPN extensions for Chrome and Firefox. Verdict: With great pricing options, plethora of server choices and a bunch of impressive tools, KeepSolid VPN is a good all-round package. Unless you are hung up on a faster and cleaner UI or file sharing across all servers, there is no reason to not consider it as one of the best options. The best VPNs are based on in-time test results. Take your time and do your research before signing up with any VPN provider after reading the Best 5 VPNs Review. I hope this helps you in your decision making process. Kindly Reminder: If you have any question regarding how to choose & use VPN, please live chat with YooCare online expert for help.